Dark cave is an adventurous and action-packed experience. Visiting this cave includes harnessed zip lining over a turquoise river, swimming into the mouth of the cave (life jackets included), walking through the dark with only the head torch on your mining helmet to illuminate the way, having a mud fight in the buoyant mud baths deep in the cave, washing clean with a swim in the lake inside the cave, then kayaking back across the river to test your strength on the hanging obstacle course and open ziplines. The Dark cave is named as such because it is one of the few caves that have had no artificial lighting installed. The cave is comprised of mostly basalt, in addition to limestone. Basalt is a black, hard rock; also contributing to the cave's name. With this rock surrounding you, you squish through the narrow and muddy passage using only your headlamps to illuminate your path. Phong Nha cave is not only a natural legacy of the world. It also stands as a relic system of the historic Ho Chi Minh trail which, during the US war, served as a secret hiding place for floating bridges that were only brought out at night to avoid targeted bombings. These bridges were key components in the supply chain from the north to the south by allowing supply trucks to cross the rivers. It also once served as a hospital, with weapons installed at the entrance. Once its location was discovered, it was heavily bombed, resulting in the external scarring you see today. This area has now become the first section of the ever popular Ho Chi Minh trail, as it showcases a lush, mountainous landscape. 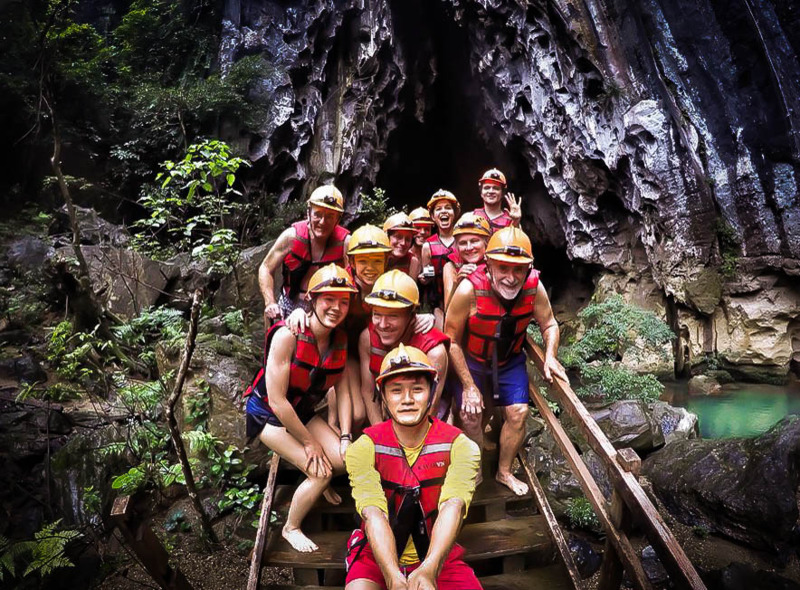 07:45 You will be picked up at hotels then exploring Dark cave (located in Phong Nha - Ke Bang National Park, 20km about Phong Nha cave, 65 km about Dong Hoi and 1h10 minutes driving) at the rest of the day. 12:30 Lunch at local restaurant in Phong Nha village. 13:30 Visit the most impressive Phong Nha caves (50 km about the city, 45 minutes driving). 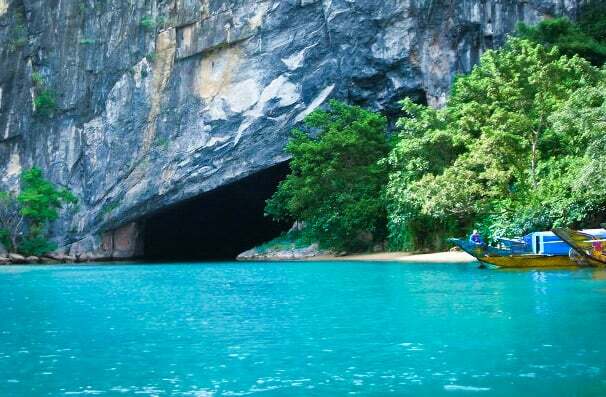 After 25 minutes on boat, visitors will arrive Phong Nha cave, take a couple hours to see the cave. This cave is called as river cave, is famous for its rock formation. Please bring your own swimsuits, towels and other personal items for the mud bathing experience.